JAKARTA, Indonesia (AP) — Despite its denials, one of the world’s biggest paper producers has extensive behind-the-scenes ties and significant influence over wood suppliers linked to fires and deforestation that have degraded Indonesia’s stunning natural environment, The Associated Press has found. Indonesia’s Sinarmas — better known by its international trade name, Asia Pulp & Paper — has insisted in company publications, public events and to the media that most of the companies that supply it with wood are “independent,” not owned by it or in other ways affiliated with it. But the AP has found links between Sinarmas, its pulp and paper arm and nearly all the 27 plantation companies that it has told the outside world are independent. The company’s apparent aim: to “greenwash” its image for the global market. The AP reviewed nearly 1,100 pages of corporate records related to the purportedly independent plantation companies, which show they are owned by 10 individuals. Six are employees of the Sinarmas group and two are former employees, one with links to the Widjaja family, which owns Sinarmas. Several work in the finance department of Sinarmas Forestry. The AP identified the eight by matching biographical details in the documents, including birth dates, to information in social media profiles, news reports, forestry industry documents and other sources. 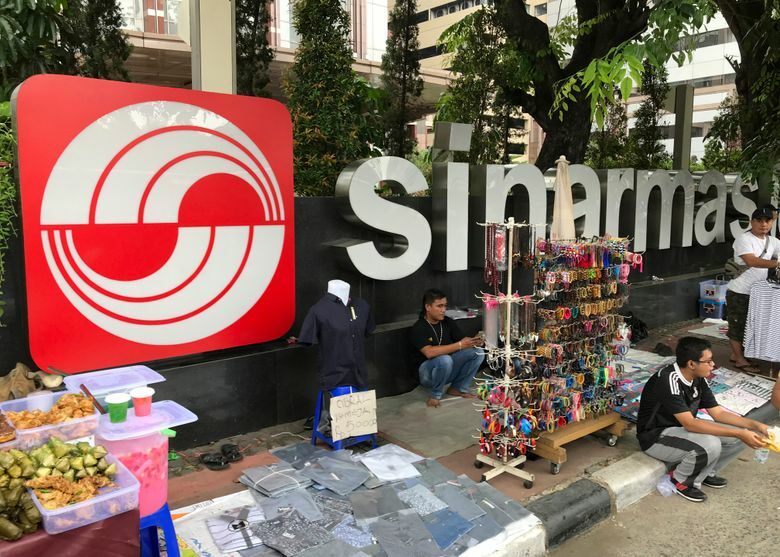 The ownership of 25 of the 27 suppliers is exercised through layers of shareholding companies that are almost always based in Sinarmas offices and in most cases have Sinarmas employees, ranging from top executives to humble IT workers and accountants, as their directors and commissioners. At times, the documents show, the directors have included the adult children and grandchildren of the Sinarmas founder, all of whom have prominent roles in the Sinarmas empire. It acknowledges it owns six other suppliers. 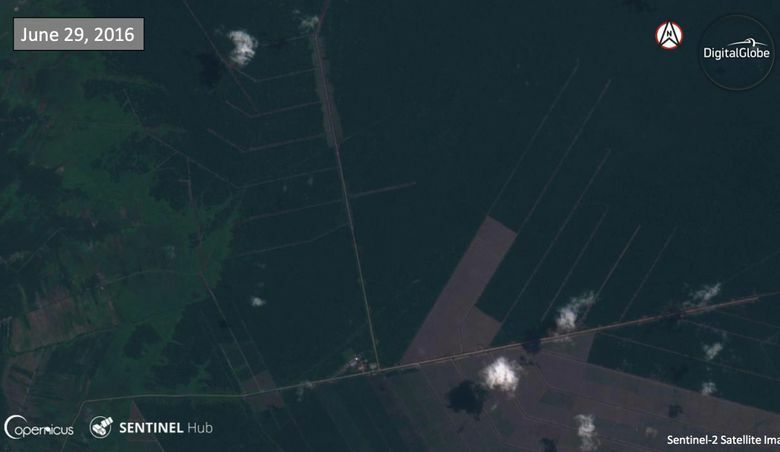 The AP also found that a company owned by two employees of Sinarmas Forestry has been cutting down tropical forest on the island of Borneo since 2014. Official forestry and industry production reports seen by AP show some of that wood has been sold on the local market and some has been sold to a company that is turning it into pellets marketed as a sustainable energy source. Sinarmas vowed in 2013 to stop deforestation. 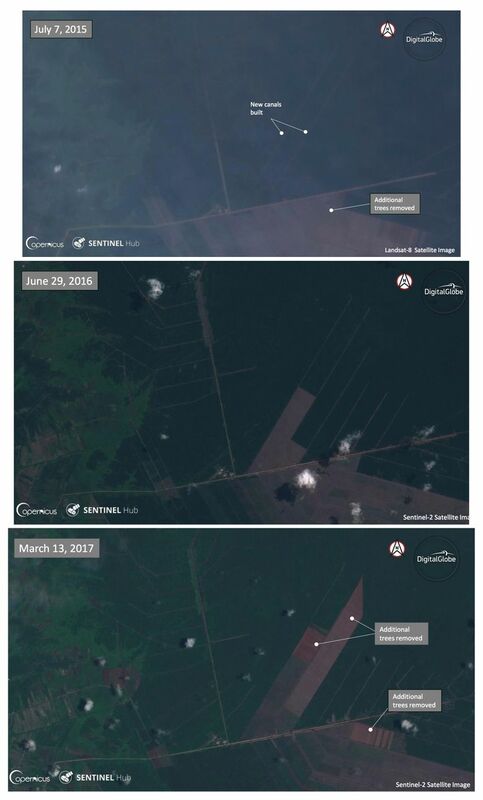 And despite another 2013 commitment to gain prior and informed consent of local communities for new plantations, Sinarmas is pressing ahead with plans to turn 66,000 hectares (163,000 acres) of state land in the Bangka Belitung island chain off Sumatra into industrial forestry plantations despite substantial opposition from locals. The move puts the company on a collision course with villages that farm on the land and which some 100,000 people call home. AP outlined its findings to Sinarmas five days ago. A spokeswoman said it would respond “shortly,” which was later amended to promising a response to questions by Tuesday. As of Wednesday, it had not responded. 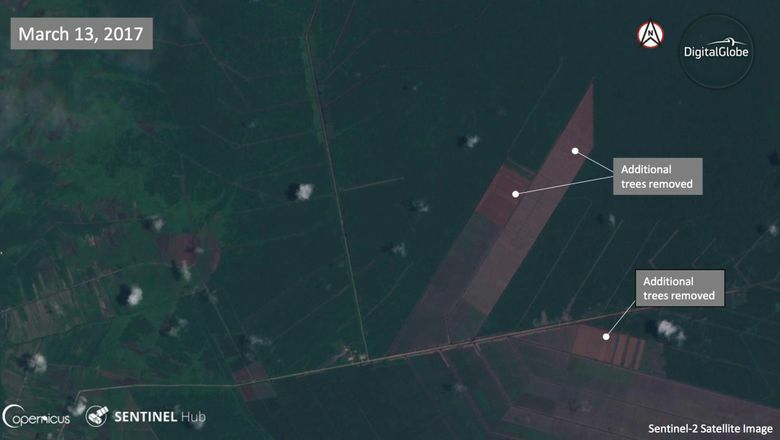 Environmental group Greenpeace, which after a lengthy campaign secured conservation commitments from Sinarmas in 2013, said it was “alarmed’ and called for an independent investigation into the relationship between Sinarmas and its wood suppliers. Indonesia is cutting down its rainforests faster than any other country, swelling the profits of a handful of paper and palm oil conglomerates while causing massive social and environmental problems. The rapid forest loss combined with its greenhouse gas emissions has made Indonesia the fourth biggest contributor to global warming after China, U.S. and India. Its emissions swelled dramatically in 2015 when record dry season fires burned 2.6 million hectares (10,000 square miles). The fires blanketed much of Indonesia, Singapore, Malaysia and southern Thailand in health-damaging haze that a Harvard and Columbia study estimated hastened 100,000 deaths in the region. The World Bank said the fires cost Indonesia $16 billion. 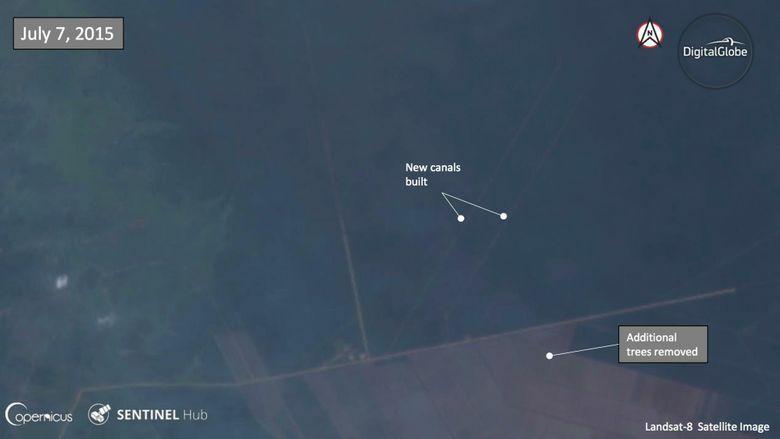 Part of the reason for the disaster: the drainage of swampy forest land by palm oil and pulp companies including Sinarmas suppliers for industrial plantations, making it highly combustible. Some fires — set by villagers to clear land for planting, or by plantation workers — spread wildly because of this drainage. 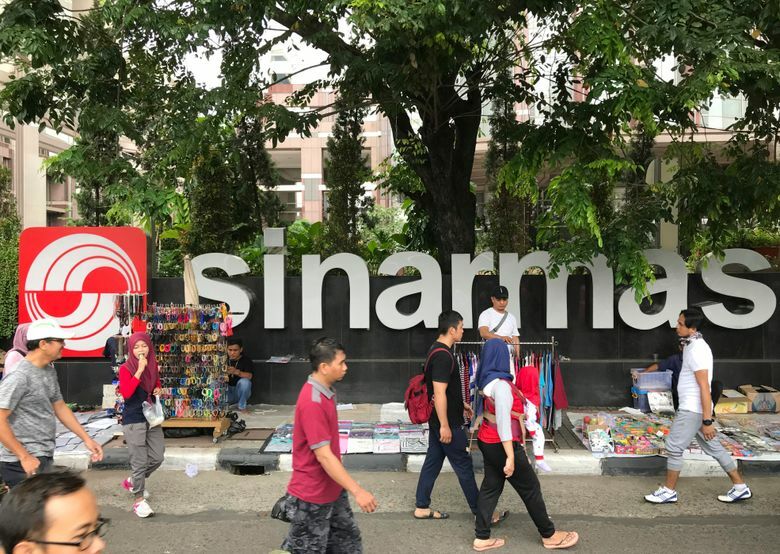 Sinarmas is one of Asia’s major conglomerates and its products touch consumers and businesses around the world, from photocopy paper, tissue and cigarette boxes to bottle labels, burger wrappers and noodle cups. To U.S. giants such as Office Depot it supplies notebooks, for Dollar General it makes writing pads and self-sealing envelopes, and to American Greetings it supplies colorful gift bags. Its Livi brand tissues and toilet paper are sold on Amazon. The 96-year-old family patriarch, Eka Tjipta Widjaja, the son of migrants from Fujian in China, built Sinarmas from scratch in the 1930s when he was a coconut oil trader on the Indonesian island of Sulawesi. He had several wives and according to some reports as many as 40 children. The family-owned empire’s finances are mostly opaque, but it has yearly sales of more than $7 billion through just one of its five major business arms: palm oil producer Golden-Agri Resources, which trades on Singapore’s stock exchange. Some of its pulp and paper mills are traded on Jakarta’s stock exchange and had sales of $3.7 billion last year. For years Sinarmas was notorious for land grabs and deforestation but after a worldwide campaign by Greenpeace that caused it to hemorrhage sales, it vowed in 2013 to become a paragon of sustainability. Its Asia Pulp & Paper and Sinarmas Forestry arms declared in an agreement with Greenpeace they would end the clearing of natural forests and resolve land conflicts with dozens of villages. Now it is seeking a good-behavior seal of approval from the influential Forest Stewardship Council, which withdrew its endorsement a decade ago but is now reassessing it. 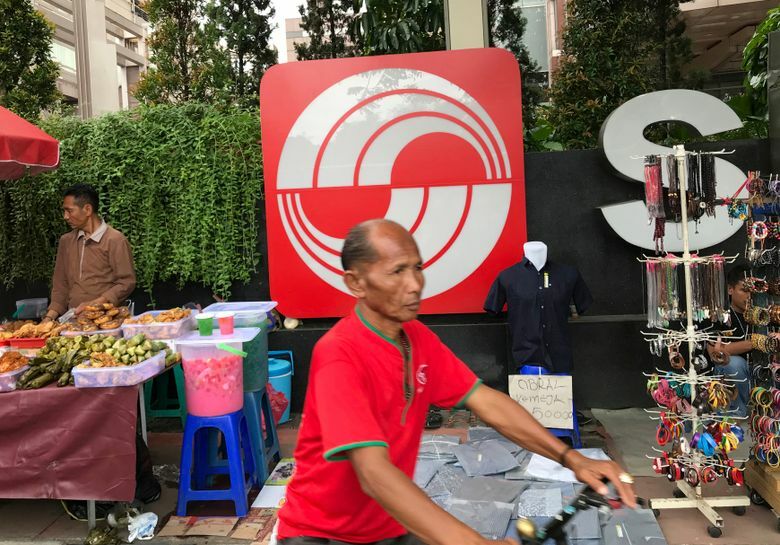 Re-endorsement could convince still wary customers to return just when the company needs buyers for the output of a giant new pulp mill in south Sumatra that it financed with Chinese loans. The full picture of what benefits Sinarmas obtains by obscuring the true extent of its ties to the plantation companies is unclear. But the perception that these suppliers are independent has been a crucial public relations weapon in the past few years, allowing it to minimize responsibility whenever controversy strikes. The AP findings suggest Sinarmas has a greater degree of responsibility for Indonesia’s annual dry-season fires than previously known. Indonesia sanctioned five Sinarmas suppliers for burning their land in 2015 and Singapore’s National Environment Agency is investigating four companies that Sinarmas characterizes as independent suppliers for contributing to unhealthy levels of haze in the city-state in 2015. In an email to the AP, the agency said it had received limited information from the companies and Asia Pulp & Paper. Earlier this year, it obtained a court warrant to detain an unnamed director of one of the accused companies if he enters Singapore. During the fires, Asia Pulp & Paper said it temporarily stopped doing business with two of them, telling Singapore’s state media that they were “independently owned and operated entities.” But AP found all those companies were owned by Sinarmas employees and based in Sinarmas offices. One of the companies, Bumi Mekar Hijau, which in English means “Blooming Green Earth,” was found guilty by an Indonesian appeals court last year of burning land in 2014 and fined 78.5 billion rupiah ($5.9 million), a sliver of the 7.8 trillion rupiah ($5.9 billion) sought by the Ministry of Environment and Forestry. No fine has been paid because both sides are appealing to the Supreme Court. The two defendants in the case were directors of Bumi Mekar Hijau but did not include its owner, a U.S.-educated 37-year-old Indonesian who has worked at Asia Pulp & Paper since at least 2008. In corporate filings related to Bumi Mekar Hijau, the address of the 37-year-old father of two is given as the staff dormitory of a Sinarmas pulp and paper mill on the outskirts of Jakarta. People who answered the phones at the dormitory didn’t recognize his name. One of the defendants was part of a group photo of Sinarmas Forestry finance department employees posted on Facebook earlier this year. Also in the photo: Three of the other men identified by the AP as the owners of other plantation companies that Sinarmas claims it doesn’t control. The picture was tagged #bigfamily.